My previous trip to KL, I had visited TABIB CINA CHIN KEE SIONG at Hulu Langat to fix my wrist injury, while waiting for the shop to open at 10am, I had a quicky breakfast at this Kedai Kopi Dan Makanan Eng Soon Hong, surprisingly food here were quite good. 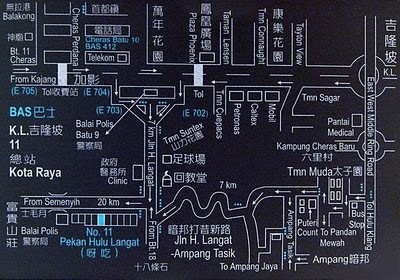 If you sprain or strain a muscle or break your bones, you should make a trip to this famous Traditional Bone Specialist Chin Yek Leong 2nd Generation in Hulu Langat which is well known to treat such an ailment. They specializes in rejoining broken bone, spinal cord, crack in bones. There are 5 masters treating the patients, it take around 30 minutes in attending a patient. For women patients they can request for ladies sifu for their treatment. The noodles were cooked just right, with a springy texture topped with char siew and wanton in a tasty light broth. Photography has become an important part of me, its act as a diary and reference for things I encountered.